Le Labo has us coveting the city exclusives, since for most of the time they are what they say they are: exclusive to their city of origin. 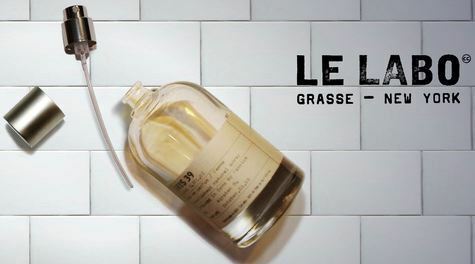 For the third time now, Le Labo relax their own rules and let us have those pretty perfumes wherever we are. Luckyscent is selling them for one month and so are the Le Labo boutiques – online as well as brick and mortar. To help you decide whether you need one of those rare gems, take a look at my reviews. Dallas – Aldehyde 44 (unfortunately discontinued, but such a beauty, I had to add it here). My personal favorites? New York’s Tubereuse 40 and London’s Poivre 23. This entry was posted in Fragrance Reviews, Le Labo and tagged City Exclusives, Fragrance, Le Labo, Perfume, Review. Bookmark the permalink. The only one, so far, I liked enough to pay for a decant is Poivre 23 but even this one was just a “like”, not “love.” I also think that Vanille 44 is nice – just not Le Labo city exclusives price good. Limette sounds lovely, I hope to try it eventually. I got my sample from a lovely friend who lives in the US and was actually going to SF, so she stopped by Le Labo boutique to score me a sample of Limette 37. Yes! Perfume friends are the best! What would we do without them? They’re all so caring and helpful, right? A perfumista understands another perfumista best! I’m with U on this I ‘liked’ but did not love ‘Poivre’ and as a Londoner I failed to get the connection between the scent and the city, if indeed there is meant to be one. My love in this range I think will remain number 24. Famed for good reason in this case… but one can see why it’s often dubbed ‘dirty’! Too true. I was reading a review the other day which used tar, burnt and sun-scorched leather as reference points. I was sold… only to realise that actually they were giving the poor scent a terrible write up. I love them all…stupid me and stupid me that I did not buy a bottle of Aldehyde..husband is now staying San Francisco for work and is bringing home a bottle of Limette37 🙂 I do not wear Poivre very often because I fellt a little bit sick when I bought it..brings back negative memories, such a shame. Please let me know what you think of Limette!!! Glad you got to smell them all, Daisy! Not all. No more of the Dallas exclusive! Was it good? No wait, don’t tell me. I can’t know. Oh I don’t know. I’m tempted by Poivre and Tubereuse. But if I fall in love, what then? There are illegal drugs that are cheaper and easier to get than these. [Gusty sigh.] And there are plenty of beautiful fragrances in my collection that do not get enough skin time as it is. Wearing Mitsouko today for the first time in ages. I must admit the the Le Labo marketing style does somehow lessen my enjoyment of the fragrances. It should not be so, but it is. I understand you well, marketing does influence us to some extent, positively and negatively. Hi there! So far I’ve picked up Poivre 23, Musc 25, Cuir 28, and Vanille 44. I hope to complete the City Exclusive collection someday (aside from the discontinued Aldehyde 44), but I’ll need to seriously save up for that. Oh well, this worldwide sale seems to come back to Barneys NY stores every couple years around this time of year so I guess I’ll have to wait ’til then! Do you know anything about the new Moscow City Exclusive, Benjoin 19? I’m sad this one was not part of the limited-time worldwide city exclusive sale. It is fairly new as of September I believe, so I guess that’s why. I’m sure Le Labo will continue the tradition of making the perfumes available everywhere in intervalls. Probably only be able to grab two bottles tho…. I’m a sucker for a great frag, and when I find the one I love, I’m going 100ml it 500ml here… It’ll be quite the event- NO DOUBT!!! I agree, Naughty Prof., the Le Labo’s are very good quality, but the gimmicky distribution is a drag. Great list, hope you get them all eventually.